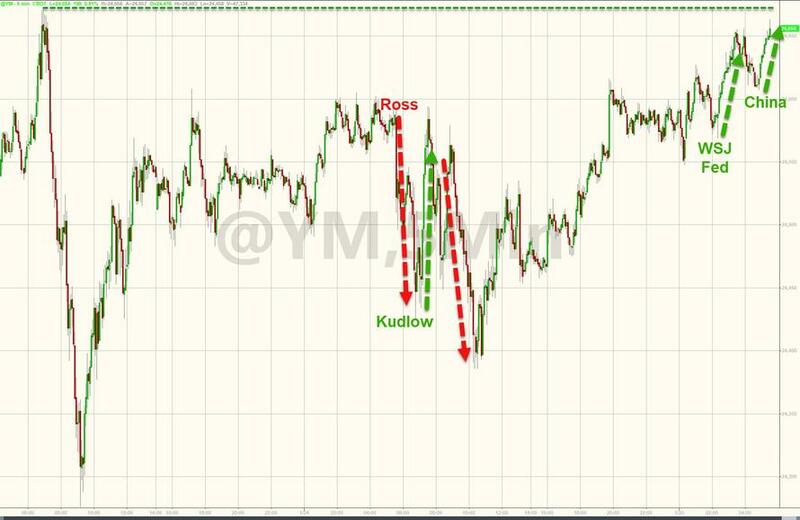 Given that algos aren't widely regarded for their ability to detect nuance, Wilbur Ross's comment yesterday that the US and China remained "miles and miles" apart on trade (though he clarified that this "shouldn't be too surprising" since the most important talks had yet to take place) ignited a selloff that prompted one of the worst daily selloffs in US stocks since the earliest trading days of the year. It was only the latest example of Trump administration officials seemingly taking turns talking up - and talking down - the prospects for a trade deal. But with the administration fearful of a sustained selloff - particularly when trade optimism is seemingly the only bulwark against more market chaos - the White House has found a way to reassure investors once again that everything is as it should be with the deadline for a trade agreement looming in the not too distant future. And ironically, the news that's sparking optimism in the equity space on Friday is confirmation that a delegation led by two senior Chinese ministers would head to Washington next week to prime the pump for a visit by Liu He, China's top trade negotiator, and a group of other senior officials later this month. Though they would seem to undermine the credibility of all future trade-related denials, the report published by Bloomberg, which follows denials by both the White House and Beijing of an FT report claiming that the US had cancelled the meeting (which sent markets into a tailspin early this week), has helped renew optimism in the trade-talk process on Friday. A Chinese delegation including deputy ministers will arrive in Washington on Monday to prepare for high-level trade talks led by Vice Premier Liu He, according to people briefed on the matter. Vice Commerce Minister Wang Shouwen and Vice Finance Minister Liao Min will arrive in the U.S. on Jan 28, according to two of the people who asked not to be named as the discussions aren’t public. 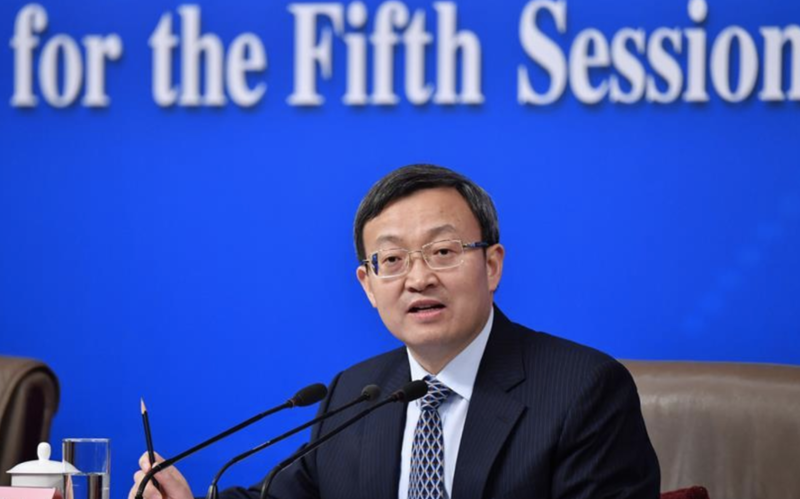 China’s central bank governor Yi Gang will join the talks, one of the people said. It wasn’t immediately clear which other officials will attend. Liu will arrive in the US on Jan. 30 to meet with Trade Rep Robert Lighthizer for talks that the US has billed as "very, very important". At that point, with only five weeks remaining until the deadline for escalating tariffs on $200 billion in Chinese goods, investors should start to get an idea of the likelihood of an amicable outcome. As of Friday, the US and China did not appear close to agreement on a range of key issues, from China’s handling of intellectual property to China's trade surplus with the US. It's unclear what other Chinese officials will accompany Liu, but what China threatening to crash US markets if Trump doesn't make a deal, one thing is clear: The situation is growing more dire every day.